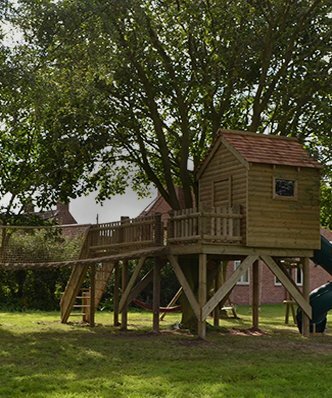 Of all the tree houses we’ve created, this one has been by far, the most fun for the children. The scale is deceptive as it seems to be tucked away in the corner of the garden. It’s only when you get up close you realise that your eyes are playing tricks on you. There is an awful lot of kit in a very small space! It’s a split level twin tower tree house tucked away in the corner of a garden. The main tower has a climbing wall, entrance ladder, speedy wavy slide and the most vertiginous fireman’s pole (4 meters from the top) you will have ever seen. 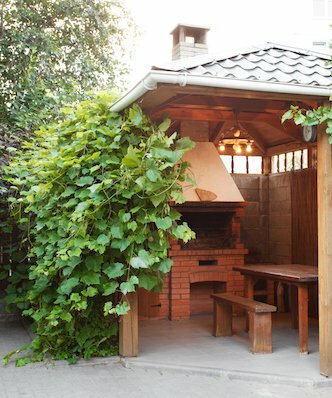 It has room to accommodate a mature tree and a fully waterproof play house with an extra-high roof to let even tall adults in without stooping (the door is almost 2 metres high!). The play house also doubles as a sleepover snug where the entire family can sleep out overnight if wanted! 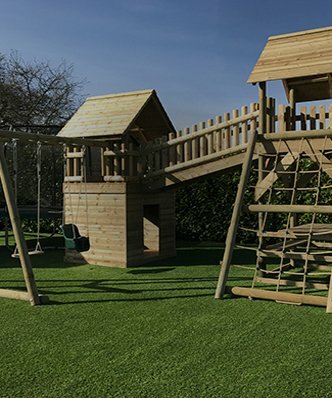 A sloping walkway leads to the play tower, with expansive cargo net and swing frame with monkey bars. It’s just custom-made for exercise and energetic fun. 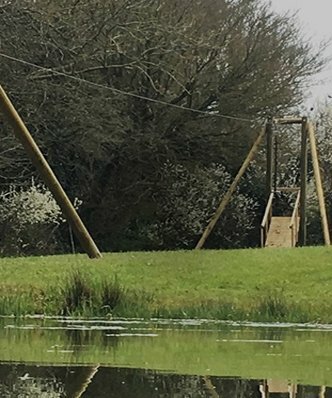 The quality also shines through the detailing which sets this build apart – shingle roof, hand made rope walkways, bespoke ladder and fully glazed windows and all made in the highest quality round timber, pressure treated, and very durable. This will provide fun, laughter and play for many years to come. A legacy for future generations. 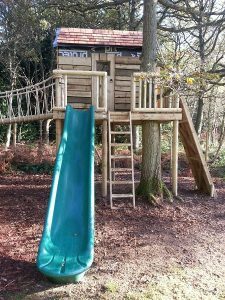 Our customer’s kids enjoyed their tree house so much, that they asked us to come back and fit a 60 meter zip wire. From tree-to-tree, it spans across the whole garden, creating a super fast ride where you can soak up the beauty of your surroundings. What’s more, it launches from the tree house platform, adding even more fun for both kids and parents. What a way to exit the garden when your Mum shouts you for tea!